Stonehenge has long excited the imagination of the public. However, it was not until the early 20th century that a concerted effort was made to preserve the monument. Under the stewardship of the National Trust, modern buildings were removed from the property surrounding the monument. However, two heavily-trafficked roads running near the monument continued to pose a danger. In addition, until 1977, visitors could go into the stone circles and the monument was damaged by vandalism and people climbing on the stones. Over the years, various schemes were proposed to preserve the site. Finally, a plan was adopted that led to the closing of one of the roads in 2010 and the construction of a visitor center and parking lots away from the monument itself. 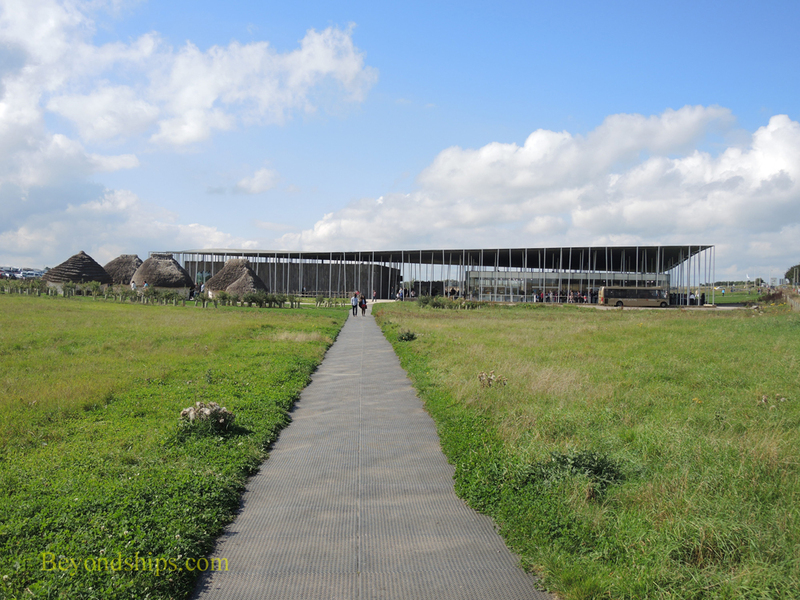 Consequently, visitors to Stonehenge now must access the site via the new visitor center. Adjacent to the visitor center are parking lots for private cars and for the numerous tour coaches that visit Stonehenge each day. The visitor center has a cafe, a shop and exhibition areas. Outside of the building is a reconstruction of the huts that the builders of the monument are thought to have inhabited. After purchasing a ticket at the visitor center, visitors queue for the shuttle buses that run between the visitor canter and the monument site. Inasmuch as there are many visitors, the buses are often crowded like those in a major city at rush hour. Happily, it is only a short ride to the site. Alternatively, visitors can walk the mile and a half from the visitor center to the monument. You can walk along the same road that is used by the shuttle buses. Or you can walk along a more circuitous route that takes you through the fields and past other prehistoric sites. You cannot see the monument from the visitor center. There is a tree-topped hill about half way between the center and the monument, which obstructs the view. For most of the distance, there are rolling grassy fields. Setting the monument apart is a major improvement. Previously, the car park was adjacent to the monument, which was convenient but the sight and sound of cars and trucks zooming past the monument was very distracting. Except on the summer and winter solstices or by prior arrangement with English Heritage who operate the site, visitors cannot go in among the stone circles. Instead, there is a paved path that circles the monument. In places, you are quite near the stones while at others you get a more distant view of the circles. There are numbered stations so that you can listen to programs on the audio guide, which point out such things as the barrows, the Aubrey holes and the ditches that might not be recognized by the casual observer. Of course, the audio guide also talks about the stone circles, their construction and the current thinking on who built the monument and why. The audio guide is included in the price of admission. As noted earlier, Stonehenge attracts many visitors. As a result, you do have to contend with the inevitable tourists taking selfies and/or posing so that the resulting photo will show them propping up the stones with their hands. Even so, it is possible to marvel at the mysterious stones and to sample a little of their peaceful spirituality. 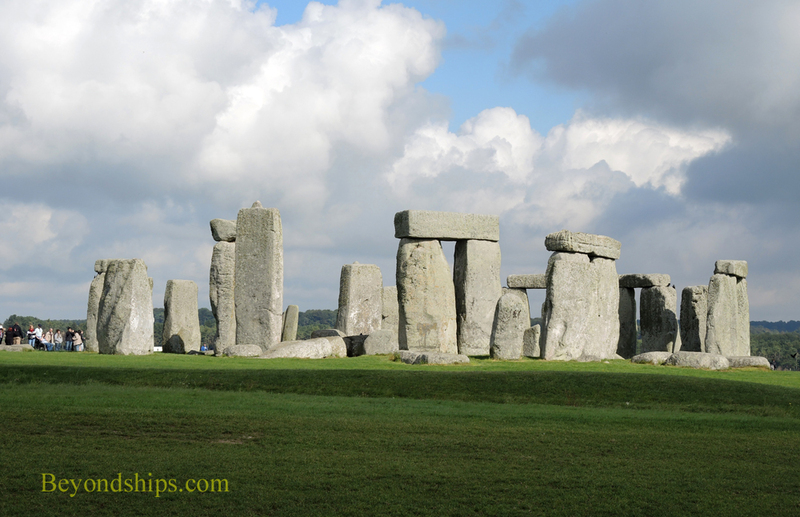 Stonehenge is about two hours west of London and an hour from Southampton. 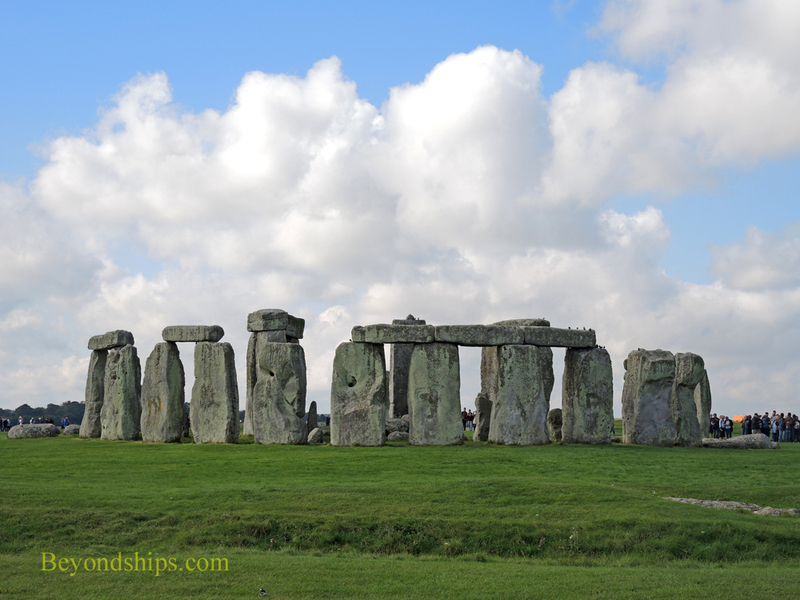 Some cruise lines and some independent companies offer transfers between London and Southampton that include a visit to Stonehenge. Many firms offer tours of Stonehenge from London. Admission to the monument is by timed tickets, which must be booked in advance. Independent travelers can purchase tickets from English Heritage's website. Most tours will secure tickets on behalf of their customers.